A website affiliated with the Islamic State claims that the Las Vegas mass shooter, 64-year-old Stephen Paddock, who killed some 58 people and injured hundreds of others did so on behalf of the Islamic State. 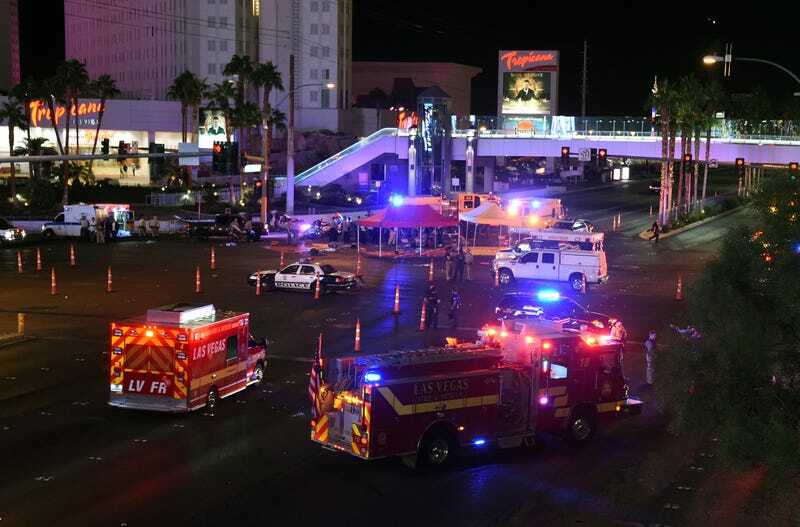 The terrorist group claimed responsibility for what is being described as the deadliest mass shooting in U.S. history. “The Las Vegas attack was carried out by a soldier of the Islamic State and he carried it out in response to calls to target states of the coalition,” Reuters noted, citing Islamic State-affiliated site the Amaq, according to RT. “The Las Vegas attacker converted to Islam a few months ago.” The group did not mention Paddock by name. Despite the claim, there is no proof tying Paddock to the Islamic State, and the FBI issued statements noting that there was no connection between Paddock and any terrorist group. Eric Paddock, the brother of the gunman, said that he was not affiliated with any political or religious group. Of course the attack is being labeled as a “lone wolf” situation, as the narrative always seems to be when it involves a white man. However, although his brother insisted that Stephen Paddock was “just a guy” who liked to go to Vegas and gamble, New York magazine notes that Eric Paddock also revealed that their father was Patrick Benjamin Paddock, a bank robber who was on the FBI’s Ten Most Wanted Fugitives list. Of course, Paddock’s father’s background has little to do with the horror that his son unleashed overnight. However, the information does add more and more complexity to the case—just like the Islamic State claims—as we still wait to hear what could possibly have motivated Paddock to carry out his attack. Read more at RT and New York magazine.